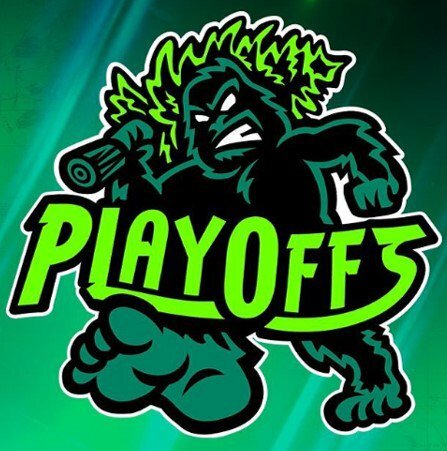 MiLB Playoff Action – Eugene Gets Going with a Huge Upset Win! As game time approached for last night’s opening game in the Northwest League Playoffs, I grew more and more unsure of what would happen. The Ems had gone 4-8 during the regular season against the Hillsboro Hops, but the playoffs start over at 0-0. The Ems were set to host game one only in the best of three series. With Eury Ramos on the mound, I also did not know which Eury Ramos was going to show up on the mound. Ramos last faced the Hops back in the beginning week of the season where he gave up 3 runs in 4 innings. With a 6.29 ERA for the yea, the 20-year-old right handed starter was wildly inconsistent throughout the year. He was either going to be dominant or he would get lit up like a Christmas tree. The first batter made it look like bad Ramos showed up. Four pitches, all balls, and none of them were remotely close as the first batter took a free pass. Then again, the batter then tried to get a free pass to second but was caught stealing. That play seemed to take the edge off of Ramos. He got the next guy to strikeout and then ended the inning with a fly out to right. All the while, Ramos was sitting in the mid 90s. In the bottom of the first Grant Fennell, a non drafted free agent, lead off for the Emeralds. He smacked a ball that the third baseman “boofed” for an error to get things started. Two pop ups by Nelson Velazquez and Luke Reynolds and a ground out by Levi Jordan and the first inning was over. With just 15 pitches on his arm, Ramos came out in the second throwing nothing but fastballs again. The fourth one he threw to Andy Yerzy left the ballpark in a hurry to make it 1-0 Hillsboro. The second batter in the inning, Joey Rose, smacked a double to the wall in center. Next thing you know, the bullpen got busy. However, Ramos regained his composure and got a line out and 2 Ks to get out of the inning with just the homer. In the bottom of the second, a Jake Slaughter single was the only action of the inning. The third inning saw Ramos walk a hitter followed up by a triple that made it 2-0. His night was done as Eugenio Palma came on in relief to get the final two outs in the inning. The Ems put together some baserunners in the third with a HBP of Caleb Knight and a bloop single by Grant Fennell. However, Nelson Velazquez popped out to center while Luke Reynolds grounded out to end the inning. The Ems just could’t string together hits to get on the board at this point. In the fourth, manager Steve Lerud was run from the game after arguing his second call of the night. The first came on a batter’s interference call in the third when Luis Vazquez was called out running to first out of the baseline. The second call was on what looked to be a whiff but was ruled a foul tip. When the Ems came up to bat in the fourth, Levi Jordan doubled to start the inning and went to third on a ground out. It looked like the Ems could get a run with any kind of contact. The next batter, Jake Slaughter struck out and it was up to Fernando Kelli. No run crossed the plate as Kelli grounded out. Eugenio Palma continued to keep the Ems in the game as he held serve in the fifth by striking out the side. Palma struck out 5 in 2.2 IP. Things started happening for the Ems in the fifth when Luis Vazquez singled, went to second on a Grant Fennell walk, moved to third on a wild pitch, and then scored on a Nelson Velazquez fielder’s choice to make it 2-1. 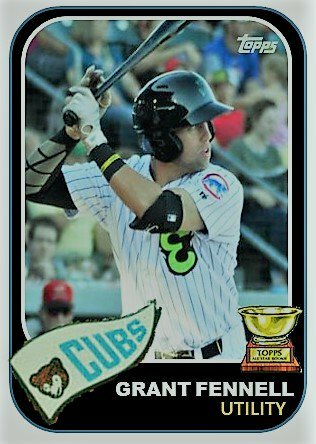 In the sixth, Cubs 1 ace Peyton Remy made his Eugene debut. After a double, Remy settled down and got the next three men in order, two of them on strike outs. I was impressed with Remy’s arsenal as he worked in the low to mid low 90s with decent life. He came across as a guy who attacks the zone. In the bottom of the sixth, anything that could happen did. 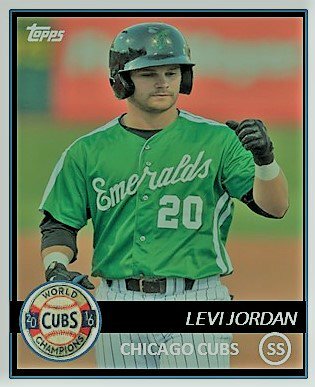 A walk by Levi Jordan started it all and a comedy of errors along with a couple of runs soon happened. The Ems actually scored their runs on a Fernando Kelli single and a balk. I know, it was a strange inning. The Ems lead 3-2 heading into the home stretch. Hillsboro could not get anything going but one single the rest of the night. Remy wound up striking out 5 in his 3 innings of work and Ivan Medina (playing in his second Eugene game) closed it out in ho-hum fashion for the Ems. I was a little bit stunned that Ems took game one. Hillsboro was such a dominant team in compiling the best record in the league all season. The series resumes tonight with Faustino starting for Eugene. The 19-year-old lefty .faced the Hops only once this going 4 innings and allowing 2 runs. I feel pretty good about the Ems chances to get to the finals now. They have two games to win just one. Next ›MiLB Playoff Action: Oh, My! Ems Back in the Finals!